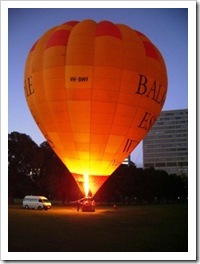 On Wednesday 5th December, I managed to get another hot air balloon flight over the city. It was a beautiful, still and reasonably clear morning. Nowhere near as nice as out wedding day, especially as Mrs CannibalRabbit wasn’t there. 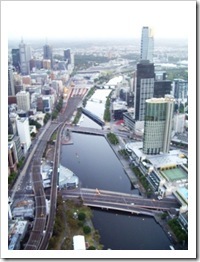 We took off from Fawkner Park and came across the south-east corner of the city from Crown Casino to Spencer Street / Southern Cross Station, landing in Fairbairn Park on the banks of the Maribynong River. There are more photos over on the Gallery – so feel free to head on over there.